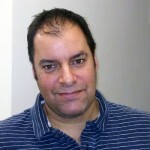 John is a content strategist and producer with more than 20 years experience. Recent work includes a new strategy and relaunch for Al Jazeera Children’s Channel, new strategy and digital reboot of Peppa Pig and new branding and relaunch for licensing giant CPLG. He was Digital Director at Kids Industries for two years, and before that John was at the BBC, where he worked across radio, TV and interactive, including two years as interactive executive producer for CBeebies.